Now with foil wrapping paper! Hot on the heels of last week's coverage of Wizard's of the Coast big 4th Edition announcement, this week we've got a wrap up of other games from GenCon. I'd never been to GenCon before, and I was only there for one day, so I'm sure I missed a lot of things. But worst of all, 30 minutes from Indy I realized I'd left my camera at home. 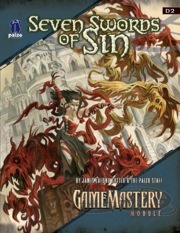 Also this week we have a GenCon journal from Soulweaver, who you might know from her fanart contributions. She's also been busy designing some RPGamer t-shirts, but more on that at a later date, and probably not from me. By the way, Green Bay is up 3-0 over Jacksonville. 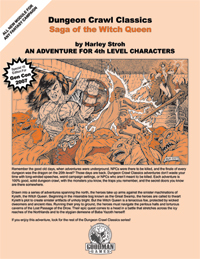 Also this week we have a couple reviews, one covering the Dungeons and Dragons Basic Game (3.5 Edition) that I've been using to teach the game to my son, and a review of Paizo's Conquest of the Bloodsworn Vale. Next time we'll have reviews of Shadowdale: Scouring of the Land and Monster Manual V.
Dungeon and Dragons: Tactics plays like one would expect a TRPG to play, and is probably the most accurate replication of 3.5 rules in a video game to date. Unfortunately, this tends to make the interface a little cumbersome. The game features multi-player via ad-hoc networking, an inclusion that the Atari representative said was solely responsible for the delays the game experienced before release. 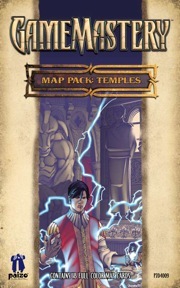 Fantasy Flight Games makes a large number of CCG and board games. While passing near their booth I spotted a Kingdom Hearts CCG display, so I made a point of coming back past during my free time. Unfortunately, when I did all the play spots were taken, so I was only able to stand around and watch others play. I will admit it has been several years since I last played a CCG, so I was not really able to follow the action all that well. The cards, however, seem to cover most of the characters and abilities from the Kingdom Hearts series. 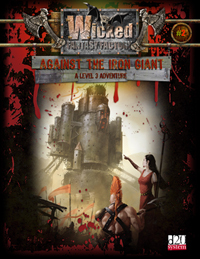 Goodman Games is famous for their Dungeon Crawl Classics line. They had a large selection of these available as well as Wicked Fantasy Factory and a large number of older titles available. I picked up a couple of their products, look for a review of these in a few weeks. Green Ronin had a large number of True 20 and d20 products available, as well as some non-RPG products. Unfortunately, I was only able to pass through their booth briefly and so I still do not know what the differences are between True 20 and d20. 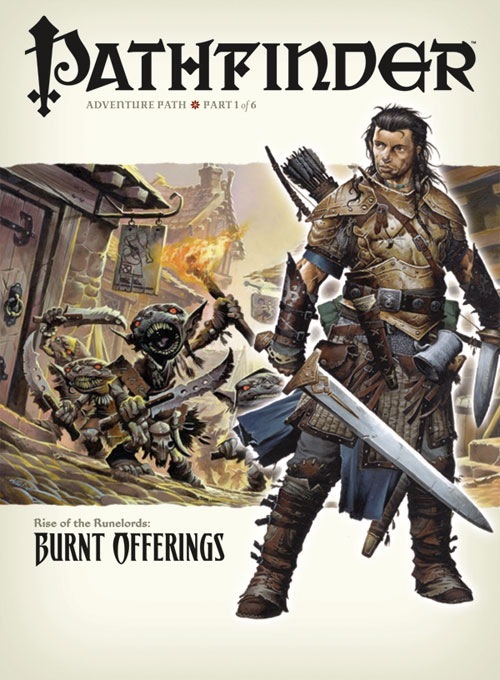 Paizo Publishing had been the publisher of Dragon and Dungeon Magazines for the past five years. 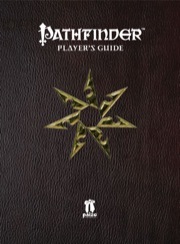 This year, with the license expired, they unveiled their new Pathfinder Chronicles Campaign Setting, curtesy of several GameMastery Modules and the new Rise of the Runelords Adventure Path. 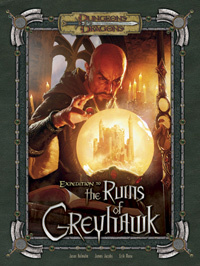 GenCon attendees were able to purchase a special "GenCon Exclusive Cover" version of the first chapter of the Rise of the Runelords, Burnt Offerings. 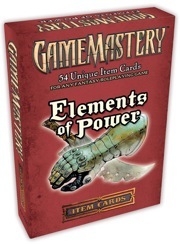 Paizo Publishing also makes several excellent gaming aids, from their Item Cards and Map Packs, to the ever popular Critical Hit Deck, a deck of playing cards with a new twist on critical hits. Look for reviews of several of these products over the next month. I also stopped by the Paizo booth to get a copy of Expedition to the Ruins of Castle Grayhawk signed by the three authors, who all work for Paizo. 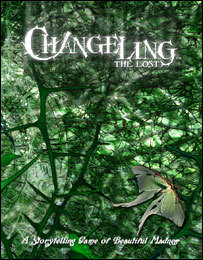 Saving Throw will be giving this book away in September, in a Create-a-Monster contest. Exact details are still being worked out, but look for that in a couple weeks. RPGXplorer had both their Character and Rules and GM Tools software on hand. Before GenCon, I had not been too impressed by their offering, but the GM Tools demo at GenCon was very slick looking and the map very detailed and professional looking. Unfortunately, I do not know if it was a map created by the software or imported in from an outside source. If it was created by the software, I will be bumping that up to my "must buy" list. I had never heard of Seven Lights before they contacted us a few weeks before GenCon asking us to come by their booth to see their new game, The Continuum. I arrived at their booth, expecting to see something similar to Magic Online or the Pirates CCG Online, but instead I was treated to a trip back to my childhood. The best way to describe The Continuum is to say its like a modernized, expanded, Mountain Dew boosted version of The Ancient Art of War, a DOS realtime strategy game from the late 1980's. I have extremely high hopes for this game, but the fact that it is Flash based and seemed to be experiencing some significant loading times even when the server was just a few feet away makes me a little leery. Still, if I get to slaughter my opponents in anything that resembles Ancient Art of War, I'll be happy for a long, long time. SOE had a pirate theme going at their booth, but the game that caught my attention the most was Gods of Heroes. This "squad-based" MMORPG looks gorgeous and with the advanced minion system allows players to play a MMORPG almost like you would play an offline RPG. Each player has a hero, and then can collect over 100 minions for their party, although no more than four can join the hero at anyone time. Multiple players can join up to take on enemies together and just so you do not get your minions confused, each player has a color scheme that appears on their hero and minions' clothing choices making it easier to identify your team. For those wondering, the minion system reminded me a lot of the Gambit system from Final Fantasy XII. I wanted to see Pirates of the Burning Sea as well, but I just did not have the time. 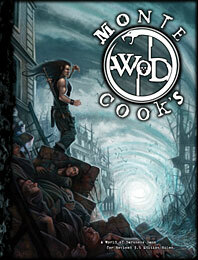 White Wolf has one of the gaming products I've been looking forward to getting all year, that being Monte Cook's World of Darkness, a conversion of World of Darkness to the d20 System. According to Monte it is the last gaming book he is going to write, so it's one of those bittersweet things, sort of like receiving the last issue of Dragon or Dungeon Magazines. I got a moment to sit down with some of the White Wolf/CCP staff, and they were kind enough to explain the basic differences between d20 and Storyteller system. Now I can honestly say I understand why people say the Storyteller system concentrates heavily on the Role-Playing and not on number crunching. I also got a copy of Long Live the King, a live-action strategy card game where the king is dying and the players, taking the role of various court members, are vying for the throne. I got a chance to play this with some family and friends after my son's birthday party. My tips: make sure everyone has read and understood the rules. Be prepared to be screwed by anyone, at anytime. And most importantly, never, ever trust your brother-in-law when he says "Trust me, I've got your back." I got to see Wolf Lair's Hero Lab software in action. It is a very nice and slick looking interface. I have downloaded the demo, which only allows the creation of simple characters. I hope this is enough to give a good feel for the software and I'll write a review of it. And so, there you have it, a brief wrap up of what I saw at GenCon 2007. I really wish I had been able to attend more than one day, as I hardly had any time to attend anything other than a few demos. The scary thing was, I spent $110 and could have easily spent $5,000. Random strangers with badges hanging around their necks wave to me in friendly greeting. A t-shirt bears the words, "If the DM's smiling, it's already too late." A manticore passes me on the street. Yes, it's Indianapolis, and it's that time of year. Celebrating its fourth decade, Gen Con promised to be bigger than ever this year. It delivered all the staple events that attendees have come to know: the costume contest, the art show, the miniature hobby workshops, and the fast-paced auction were all in full swing. Special guests Gary Gygax, Larry Elmore, and Tracy Hickman were in attendance. There were several major announcements in the world of tabletop gaming. But I'll leave it to more knowledgeable folks to cover those. Gen Con's 40th anniversary was the first year electronic games were featured, and it's this aspect I'll be focusing on. The electronic gaming booths were tucked away in a corner of the exhibit hall and provided a nice break from the crowds. Big-name publishers like NCSoft, Eidos, Blizzard, Atari, Sony, and EA Mythic stood side-by-side with the lesser-known K2 Network, Flying Labs Software, Seven Lights, and Octopi, Inc. You could get a hands-on look at Age of Conan: Hyborian Adventures and Dungeons & Dragons Tactics while admiring the gorgeous artwork of PoxNora and the impressive trailer from Warhammer Online . And, there was little to no waiting in line for any of it (one of the perks of playing second fiddle to the TCGs and tabletop games of the Con proper). In case it wasn't clear from the name-dropping above, the focus was overwhelmingly on MMORPGs. If these aren't your bag, you were mostly out of luck. But I was pleasantly surprised to see that there were a few interesting i deas here and there that attempt take online gaming in a new direction, especially from the smaller studios; Seven Lights’ The Continuum in particular has a lot of potential if handled well. Little surprises like this were nice... but for the most part, the exhibitors seemed to be leaning exclusively on their flagship titles to test the waters at Gen Con. It'll be interesting to see how this new addition to the Con develops in years to come. It's a great venue for new ideas to make themselves known, and it only promises to get better. For a complete list of the winners and runners up in all 20 categories be sure to visit ENnie Awards Website. GenCon Indy is over for another year, and I've got a huge stack of things to review. Next time I'll have reviews of a couple books from Wizards of the Coast and a few of the other trinkets I picked up at GenCon.